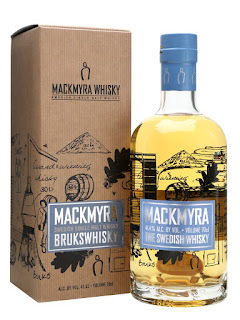 Mackmyra is Swedish whisky if you didn't know. Nose: Watery and clean, water, light fruit, watery melon, pear juice, apple, some perfume. Taste: Light, watery melon, pear juice, perfume. Finish: Medium length. A little harsh with oak.